Was the Nintendo Light Telephone inspired by the Astro-Phone? The Nintendo Light Telephone is one of the vintage toys that, to me, embodies the spirit of Nintendo in the 1970s: a great mix of engineering, creativity and drive to stand out from the competition through novel ideas. 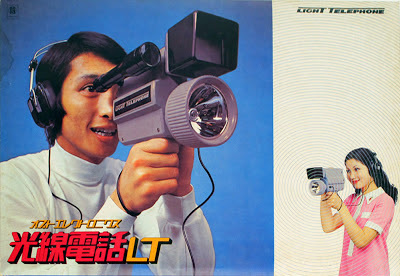 Now, it has recently been brought to my attention that ten years before Nintendo released the Light Telephone in the Japanese market, a similar toy already existed in the United States. It is called the Astro-Phone and was released by American company Infrared Industries, Inc in 1961. 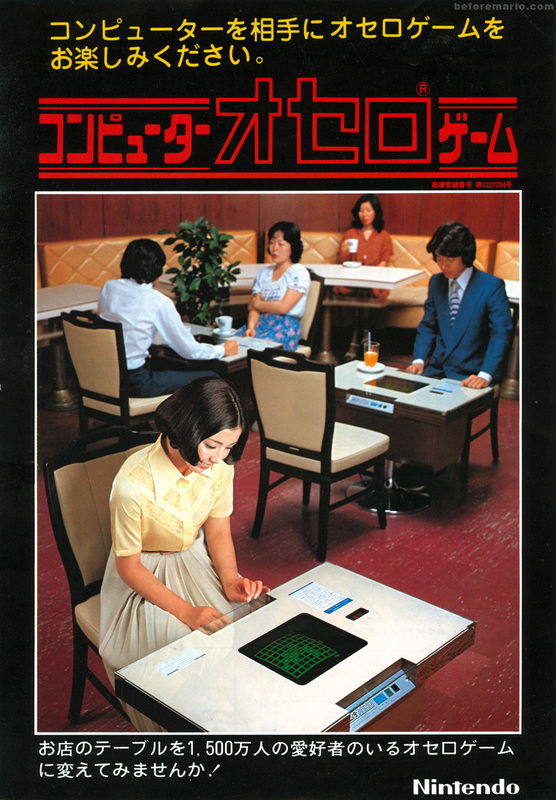 Some time ago, I posted a leaflet for the 1978 Nintendo arcade game Computer Othello (コンピューター オセロ). I recently found a second one, shown here. 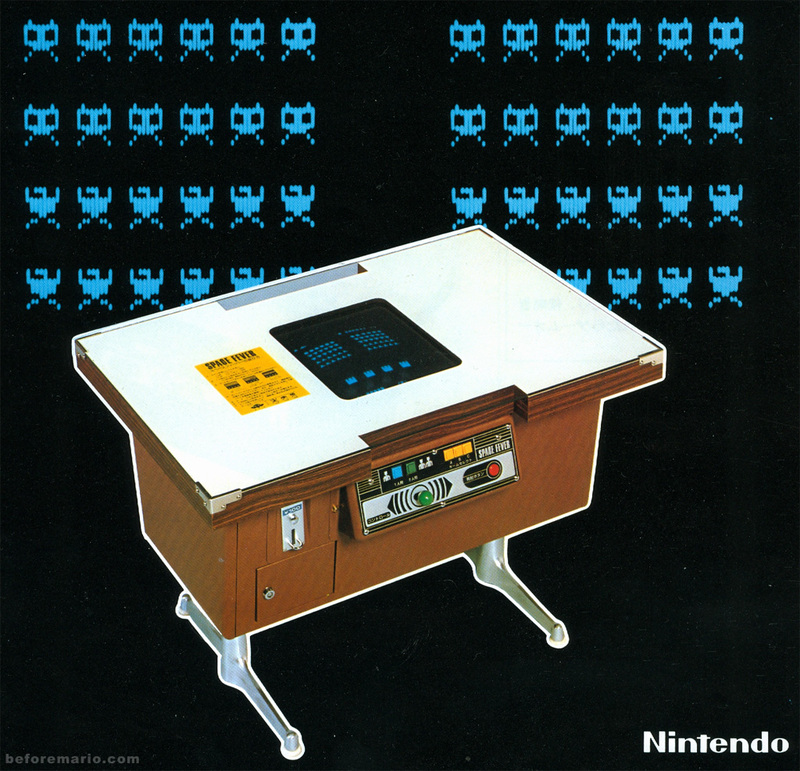 Computer Othello was Nintendo's first video arcade game, though Nintendo had created other types of arcade games before (e.g. electro-mechanical games). The image below shows two standard-size vintage Nintendo playing card sets. At least, that's what they look like at first glance. The style of the plastic case and sleeve dates them around the first half of the 1960s. But when we remove the sleeves, we see that there is actually more to this; these are no standard packs of cards at all. Each of the cases contains a gold-coloured metal key-ring, presented in a purple velvet bed. When Taito's Space Invaders burst onto the arcade scene in the Summer of 1978, it became a runaway success. Multiple other arcade manufacturers quickly jumped on the bandwagon, including Nintendo. In early 1979, Nintendo released an arcade game that was - let's say - inspired by Taito's space shooter. It was called Space Fever (スペースフィーバー). Space Fever was a black and white game, that was an adequate copy of the original, but with very little to distinguish itself. It was all there: the marching aliens that are dropping bombs, the ship at the bottom of the screen firing up, as well as four bunkers that provide temporary shelter.